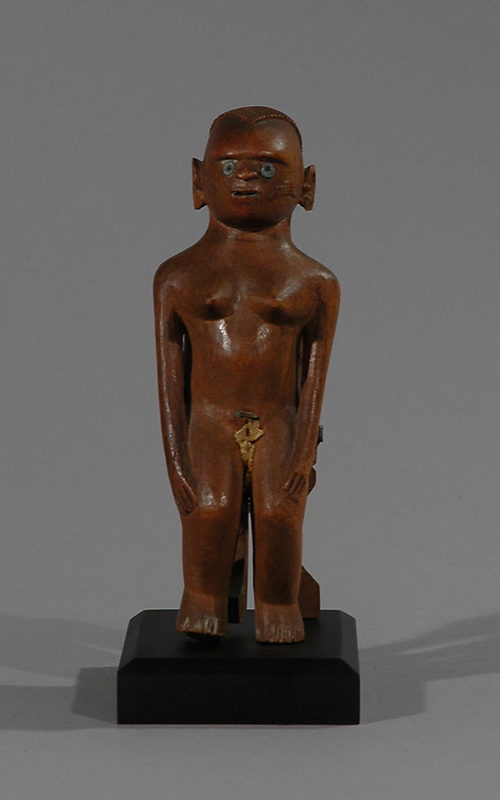 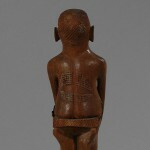 This is a finely carved female figure in an upright posture. 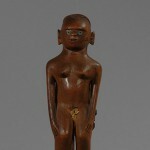 She has big ears, eyes with metal inlay, fine tattoos on her left cheek and on her back and wears a very small loincloth. 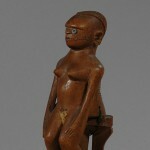 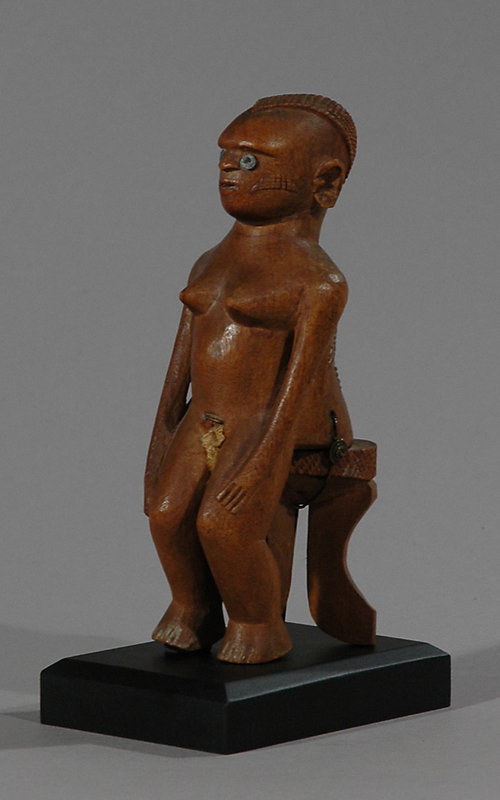 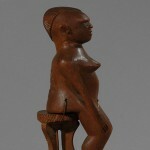 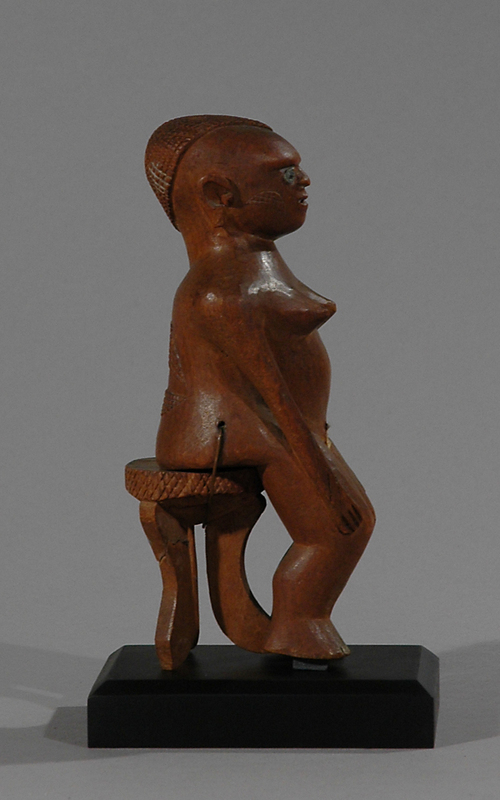 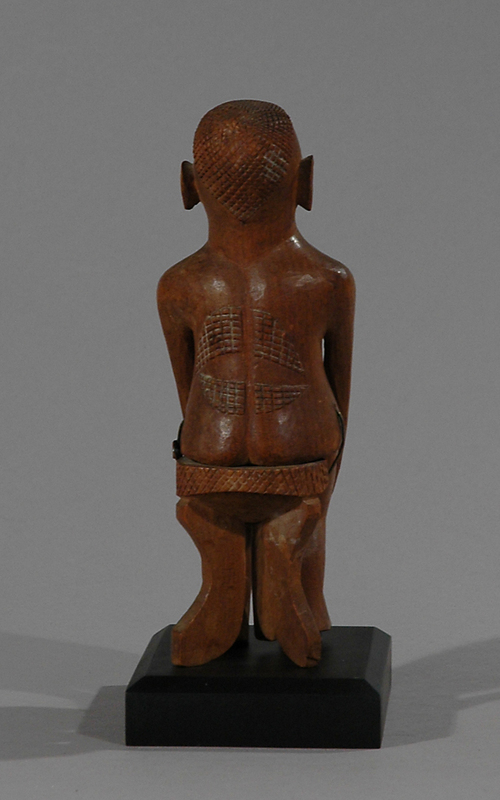 The figure is seated on a typical three-legged Kampa stool, and is attached to the stool with a thin wire. 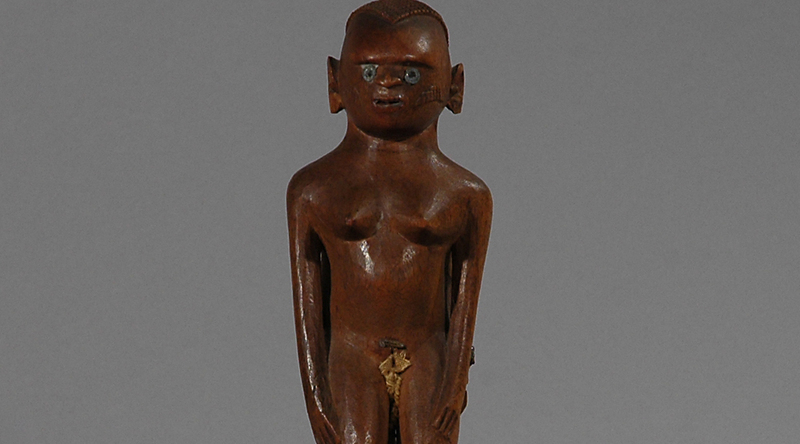 Provenance: The figure was a gift to the Danish collector, Paul Dich from his brother, the Danish painter Anton Dich (1889-1935), who lived in Bordighera in southern France and who, together with his friends the artists Amedeo Modigliani and Swedish Ivar Arosenius, collected African tribal art.